Population of Electric Vehicles is expected to explode. New kind of problems may start surfacing. Mainly related to charging. If many people start taking their car to office, they may like to put their car charging at home as soon as they reach home back. As per some study published in Washington post, this will result in increased peak hour demand on the (electricity) supplier. Armed with smart meter, electric companies would start increasing tariff during this peak period. This is worry some for consumer. Other option is to charge in office during day time. But office management needs to facilitate those many charging stations in its premises. 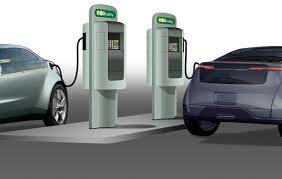 Now some thought process has started to evolve smart charging. Car will charge checking corresponding tariff (peak or non peak) and battery charge level. Even people are thinking using fully charged, unused car connected to grid to supply back to grid. In 2015, vehicular CO2 emission is higher than that from power generating units in US. Due to this cross over, EV needs to come early and charging issues to be resolved ASAP. Overall exciting time ahead on EV and charging.